Azera® Insecticide is an OMRI Listed, premium, organic insecticide offering immediate control of hard-bodied and soft-bodied insects for organic production. 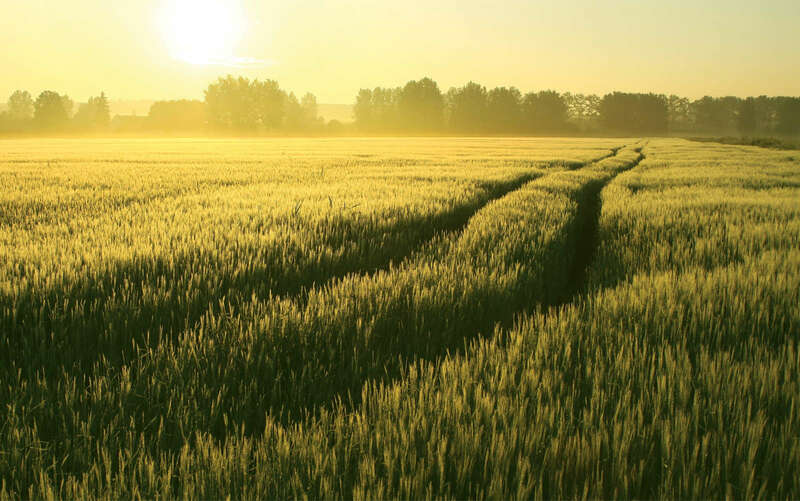 Azera is an organically-compliant, broad-spectrum insecticide that delivers quick knockdown and kill of crop-damaging insects through multiple modes of action: direct contact, ingestion and IGR (insect growth regulation). It’s made from two distinctly powerful active ingredients derived from botanical sources. And because it provides quick knockdown and control of many harder-to-kill insects, Azera can be one of the most important tools in your arsenal of pest control solutions. Case of 4 gallons Organic Stylet-Oil is a high purity base oil that kills powdery mildew on contact, controls plant feeding mite populations and is safe for field workers and the environment. With its new advanced emulsification system, Organic Stylet-Oil uses only the safest inert ingredients on EPA's List 4, - but that's not all. Each component of Organic Stylet-Oil's formulation meets or exceeds "Food Grade Quality" standards making it a safe, environmentally friendly white oil formulation. Organic Stylet-Oil is one of the few tools that Homeowners, Professionals and Organic Growers have that can control certain fungal diseases, insects, mites, plus certain potyviruses - with a single application! 1 Gallon Container. Avenger® Weed Killer is a non-selective, post-emergent organic herbicide that safely kills weeds, grasses and broadleaves. The active ingredient d-limonene (citrus oil) naturally strips away the waxy plant cuticle, causing it to dehydrate and die. Fast acting - visible results in less than 2 hours. Sprayed areas can be planted within hours. Does not stain brick, concrete or pavement. Can be used around Pets / Wildlife. Works in cool & cloudy conditions (as low as 40 degrees F). OMRI® Listed and WSDA Reg. Material. Medina Liquid Fish Blend 2-3-2 is an excellent root growth stimulator. Can be foliar or soil applied during the entire growing season. Derived from Hydrolized fish emulsion, cane molasses, apple cider vinegar, seaweed extract, and leonardite ore. Also contains Humic Acid. Liquid Fish Blend is pH adjusted by use of phosphoric acid which does not exceed the minimum amount needed to lower the pH to 3.5. Meets the requirements for use in Certified Organic Production by NOP Rule 205.601 (j)(7). Covers 32,000 sq ft.
5 Gallons Pails Medina Liquid Fish Blend 2-3-2 is an excellent root growth stimulator. Can be foliar or soil applied during the entire growing season. Derived from Hydrolized fish emulsion, cane molasses, apple cider vinegar, seaweed extract, and leonardite ore. Also contains Humic Acid. Liquid Fish Blend is pH adjusted by use of phosphoric acid which does not exceed the minimum amount needed to lower the pH to 3.5. Meets the requirements for use in Certified Organic Production by NOP Rule 205.601 (j)(7). Covers 32,000 sq ft.
Molasses provides a natural food source for the indigenous microbial populations in the soil. It is often recommended for many types of plants, crops and turf in organic growing programs. Molasses is compatible with most natural biological soil stimulators and helps increase the microbial activity in the soil. Some chemical fertilizers, herbicides and pesticides may reduce the effectiveness of this product. Derived from non-GMO sugar cane with 79.5% Brix cane Molasses without urea. Contains Total Invert Sugar of 43%. Meets the requirements for Certified Organic Production by NOP Rule 205.203 (c) (3). 5 Gallon Pail Molasses provides a natural food source for the indigenous microbial populations in the soil. It is often recommended for many types of plants, crops and turf in organic growing programs. Molasses is compatible with most natural biological soil stimulators and helps increase the microbial activity in the soil. Some chemical fertilizers, herbicides and pesticides may reduce the effectiveness of this product. Derived from non-GMO sugar cane with 79.5% Brix cane Molasses without urea. Contains Total Invert Sugar of 43%. Meets the requirements for Certified Organic Production by NOP Rule 205.203 (c) (3). Medina 0-0-1 Liquid Seaweed is a concentrated extract derived from the Ascophyllum nodosum with humic and fulvic acids. These extracts contain natural growth hormones along with over 70 trace minerals, micronutrients, and vitamins. Liquid seaweed is used to enhance and stimulate root growth of the plant. Helps germination, root development, improves yield and quality. Root stimulator and transplant aid. 55 gallon drum Medina 0-0-1 Liquid Seaweed is a concentrated extract derived from the Ascophyllum nodosum with humic and fulvic acids. These extracts contain natural growth hormones along with over 70 trace minerals, micronutrients, and vitamins. Liquid seaweed is used to enhance and stimulate root growth of the plant. Helps germination, root development, improves yield and quality. Root stimulator and transplant aid. Case Pack of 12. Earth Harvest Garden Fertilizer 32 oz. Concentrate is an all purpose plant & soil food made from years of experience in making rich ferments for organic agriculture. Earth Harvest works by making the plants work more efficiently, supplying vital nutrients and helping to build fertile soil. For the first time, one of the most robust fertilizers formulated for sustainable agriculture is now available to consumers for Home Lawn & Garden applications. Each quart treats 16,000 sq. ft. High quality hose end sprayer container for reliable application. USDA National Organic Program Compliant. 32 oz. Spray Bottle. Avenger® Weed Killer is a non-selective, post-emergent organic herbicide that safely kills weeds, grasses and broadleaves. The active ingredient d-limonene (citrus oil) naturally strips away the waxy plant cuticle, causing it to dehydrate and die. Fast acting - visible results in less than 2 hours. Sprayed areas can be planted within hours. Does not stain brick, concrete or pavement. Can be used around Pets / Wildlife. Works in cool & cloudy conditions (as low as 40 degrees F). OMRI® Listed and WSDA Reg. Material.